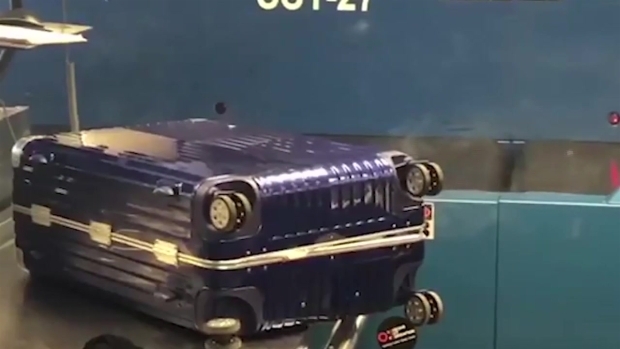 The smoking suitcase appears to have been caused by the lithium battery from an e-cigarette. A smoking suitcase at baggage screening forced the temporary evacuation of a section of Boston Logan International Airport on Saturday. The Transportation Security Administration said on Twitter that the checked baggage screening room was evacuated for nearly an hour, as smoking suitcases are always considered to be suspicious. Passengers in public areas were not affected. 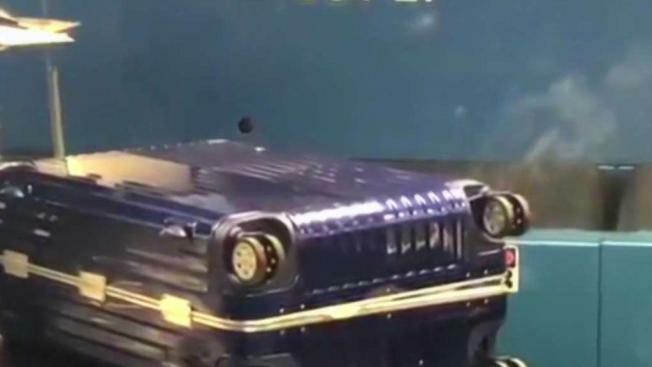 Officials said they checked out the suitcase and determined that it was safe. It happened minutes before the bag was set to be loaded onto a plane. A smoking suitcase at baggage screening forced the temporary evacuation of a section of Boston Logan International Airport over the weekend. "That's pretty scary stuff brother," one man said. "I don't smoke, but now I certainly won't have one of those. Never! I rather take my chances with a lit one." "That would be alarming, very alarming," a woman added. TSA says the passenger, a man headed to Kansas City, was contacted by investigators and his flight delayed. The incident happened during the busy Thanksgiving travel weekend. Of the 56,686 passengers and their bags that were screened that day, this one is a reminder to be careful of what you pack. "People just have to be more careful because it could have ended up in a bad situation if they didn't catch it in time," one woman said. TSA rules require all lithium batteries to be carried on and never stowed in a check bag.